What an timely example of geometry. I love it! 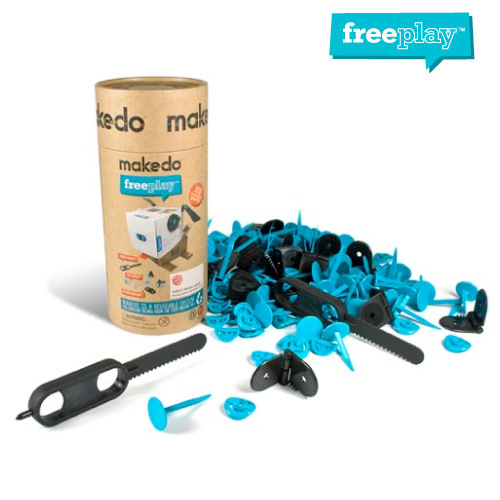 MakeDo has a great site full of creative ideas and a store to buy their construction kit. When I was in college, renting my first apartment in a Providence basement, I was excited to get and decorate my first Christmas Tree. David and I merrily trudged to the Christmas Tree lot on the corner and there I encountered disappointment. I was a country girl and I didn't have a clue as to how much a Christmas Tree costs in the city. There was no way I could afford a tree and I was heartbroken. The kindly person manning the lot understood my disappointed and offered, for free, the bottom two feet recently lopped off the base of a recently departed tree. I was thrilled. We dragged it home, tied the spreading branches up and created a Christmas Bush. We covered it with handmade ornaments. It was the most beautiful, ugly tree ever! I will never forget it. I should have thought out of the box! 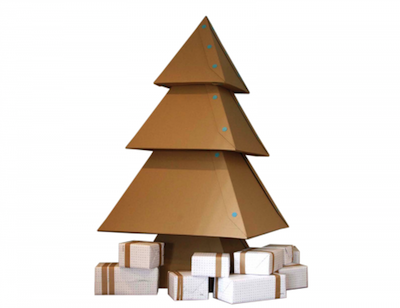 (Hehee) I could have crafted a cardboard tree. 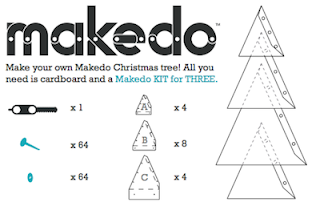 There are plans for this one (plus many other great ideas) at the MakeDo site. Can't you just envision the creative ornaments that could hang from its edges?